Mahindra XUV 500 – Beauty on road! The top-end variant of the Mahindra XUV500, the W8 was an obvious choice for me when I wanted to buy a SUV that drive like a dream, looks good and comfortably accommodates my family. This modern and stylized SUV, XUV 500 is strong and powerful enough to give a superb driving pleasure. Though price was not pretty much a consideration but I really admire the fact that amongst the tough rivals like Fortuner and Skoda Yeti, Mahindra XUV 500 is very justifiably priced. Mahindra’s spot-on price at around Rs 14.5 lakh for the top-end four-wheel drive variant ensures that Mahindra XUV 500 is also better value for money. Its features and styling, both inside and outside is so charming and elegant that one cannot deny keeping eyes off this vehicle. This modern SUV with monocoque chassis for strength and modernity derive its power from a 2.2-litre mHAWK VGT diesel engine that oozes out high 330Nm torque and 140bhp power to ensure deliverance of high performance. The XUV500 is also large, offering enough space for almost seven people and lots of luggage. I feel that this modern four-wheel drive, XUV 550 on-road performance is spirited. There is an awesome suspension, smooth gearshifts and instant braking. All this establishes it as the most loved car in its segment. 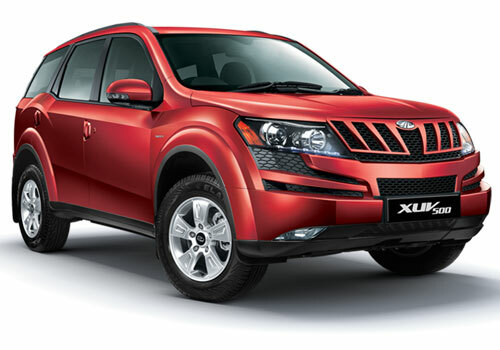 Mahindra XUV500 can give any other SUV a run for its features and performance. I am bowled over with my big car.